A groundbreaking announcement by the Turkish Minister of Economy has revealed that the country looks set to follow in the footsteps of Portugal and Cyprus and launch its very own ‘Golden Visa’ scheme, a move that could revolutionise the Turkish property market. Minister Nihat Zeybekci has stated the intention by Turkey to grant citizenship to those foreigners who impart a certain level of investment in the country’s property industry, suggesting levels of investment would be around the $500,000 to $1 million mark. With the success of the 2012 launched Portuguese Golden Visa scheme bringing in €1.47 billion of investment, €1.33 billion of which was via property purchase, in less than three years, it is easy to see why this would be a welcome move for the country. Compounding the notion that the nation is focussed on expanding the already flourishing property market, the government has now made their intention to expand overall foreign investment clear, aiming to take figures to groundbreaking $10 billion levels. The knock-on effect of the proposed scheme to the sector and those who operate in it, as well as to the country’s coffers as a whole, is clear and one that has been welcomed by leading property agent, Universal21. “Turkey, and the country’s biggest city of Istanbul, is widely lauded as a cultural melting pot and this is certainly – increasingly – the case in the property market. In recent years growing numbers of external buyers have looked to purchase property in this wonderful country, and the exciting new announcement by the Minister looks set to escalate this to impressive levels in 2016. And this is already being reflected in the current levels of foreigners buying in Turkey. The most recent figures released by the Turkish Statistical Institute (Turkstat) have shown that such sales grew by 19% from January to September this year, compared to the same period the previous year. Impressive gains by anyone’s standards, there are certain locations even within the country that are witnessing far greater growth levels. September saw Turkey’s largest city of Istanbul overtake Antalya as the top Turkish location for house sales to foreigners, registering a growth of 26.1% from January to September 2015, compared to 2014 figures. Universal21 are providing new projects in response to this growing demand in the city for high quality, affordable housing. Having just launched their new project, 7th Avenue, the leading agent is already seeing impressive interest levels. 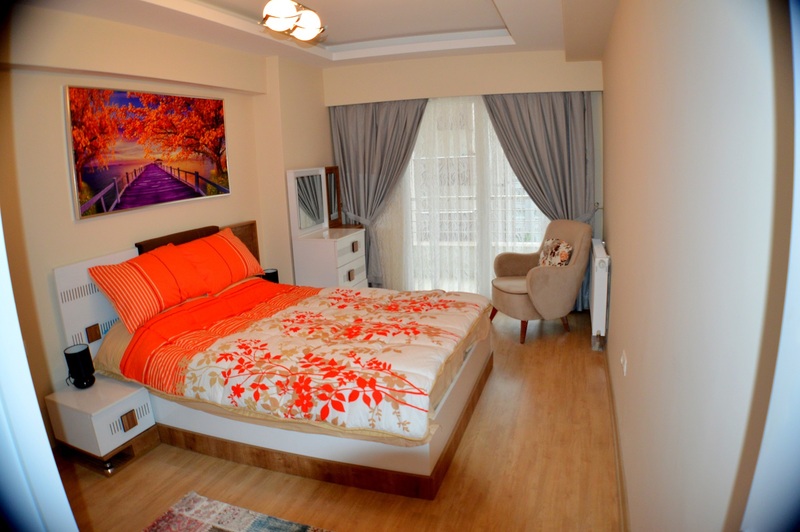 Situated in the middle class neighbourhood of Old Beylikdüzü, in close proximity to local amenities and restaurants, a 20 minute drive from Ataturk international airport, a short drive from the beach and a 10 minute walk from the area’s major shopping centre, Marmara Park, 7th Avenue is perfectly located. Comprised of 13 floors of 260 beautifully designed apartments, with a choice of studio, one, two and three bedroom apartments available, there is also an array of facilities that include 24 hour security, a fitness centre including spa, hamam and gym, an outdoor swimming pool, tennis and basketball courts. All apartments are offered with a universal21 guarantee of their unique superb rental management package. Studios are keenly priced from £30,000 / $51,000, one bed apartments are priced from £44,500 / €71,000, and two bed apartments from £62,000 / €104,500. These are pre-launch prices and are 20% discounted from current price list which is to be implemented from the beginning of the New Year. For more information about Universal21, visit www.universal21.com or call 0203 287 8700. Istanbul is in the midst of a serious rental boom, and savvy investors are cashing in, says a leading agent in the region. With an influx of new, beautifully-finished modern properties offering excellent additional facilities, Universal21, the leading agent in Istanbul’s south-west region, has released new data that highlights an exciting evolution in the city’s rental market. The company, established in Istanbul since 2008, claims that the type of properties that are now in hot demand has altered in recent months, to suit a changing demographic of renters. They now find that the majority of those renting properties in the Turkish city are professionals within Istanbul (some 47%), followed closely behind by foreigners (35%) and students from outside of the city attending university (18%). “In recent years we have certainly noticed a growing interest in Istanbul property, both from a second-home perspective and from an investment standpoint but it is within the last few months that we have really observed a change. Not only has there been a huge influx in the demand for properties to rent but with the majority of prospective tenants today professionals or from overseas, the type of property that is in demand has changed. This new data ties into the revelation announced in the most recent Knight Frank Global Cities 2015 report that employers are increasingly sending their staff on short-term international relocations, with levels anticipated to extend to a fifth of all overseas relocations in the next three years. This means that the demand for rental properties to answer this need, especially for those professionals as mentioned by Universal21, is also growing. With the completion of their latest project in August, Anfa Life, with 13 floors of residential apartments along with facilities that include a cinema, Hamam, spa, sauna, health and fitness club, Universal21 saw exactly this. Stating that “demand has been incredible”, the 47 properties available to let were rented out in less than a month and at some 13% higher than a similar property three months previously. It is this positive uplift in the Istanbul rental market that has led LaSalle to identify the city as part of a group named ‘The Aspiring’ in the recent European Regional Economic Growth Index, a report that identifies regions within Europe with the best economic prospects. Pointing to Istanbul’s growing GDP, employment levels and population, the city ranks third in the listing, and its increasing levels of middle class inhabitants also set it apart as a top investment prospect. In light of this, Universal21 have launched their next project, anticipated to have the same, if not greater, impact on the growing Istanbul rental market, providing an answer to the new demand whilst benefitting savvy investors. 7th Avenue is located in the middle class neighbourhood of Old Beylikdüzü, in close proximity to local amenities and restaurants, a 20 minute drive from Ataturk international airport, a short drive from the beach and a 10 minute walk from the area’s major shopping centre, Marmara Park. Comprised of 13 floors of 260 beautifully designed apartments, with a choice of studio, one and two bedroom apartments available, there is also an array of facilities that include 24 hour security, a, fitness centre including spa, hamam and gym, an outdoor swimming pool, tennis and basketball courts. Studios are priced from £30,000 / $51,000, one bed apartments are priced from £44,500 / $71,000, and two bed apartments from £62,000 / $104,500. There is also a payment plan available and properties are currently at pre-launch prices, reduced by 20% until next month. Being able to spend a million pounds on a property opens up a huge choice of homes available. Knowing whether to opt for a plush pad perfect for accessing in London or a sprawling beachfront villa overseas can be a tough choice. Within easy reach of London, the delightful community of Virginia Water offers an exceptional standard of apartment living for just under £1,000,000. 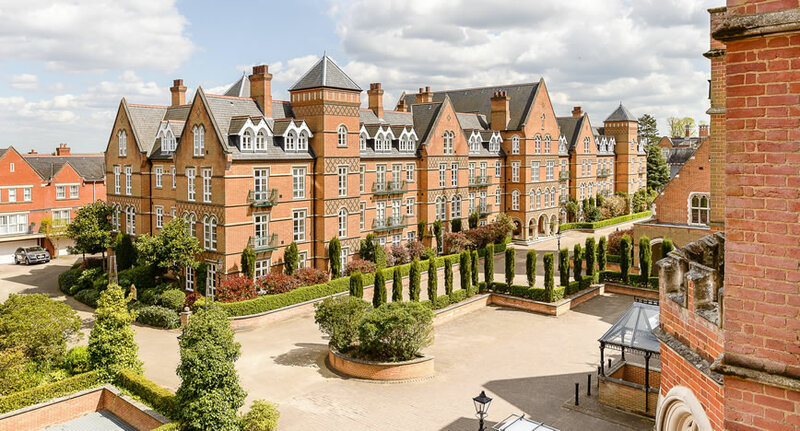 The Grange at Virginia Park is a prestigious, gated development consisting of a handful of beautifully finished apartments set in a magnificent Gothic Grade I listed building, from renowned local estate agent Barton Wyatt. £935,000 will buy a two/three bedroom, two bathroom apartment with secure underground parking for three cars, 24 hour manned security and extensive leisure facilities including an indoor swimming pool with Jacuzzi and sauna, a well equipped gym and a tennis court. For those who prefer to spend their million pounds overseas, Spain, Portugal and Cyprus all offer a host of fabulous properties. In Spain, €1,350,000 (which equates to around £1,000,000 at the current exchange rate) is sufficient to purchase a four bedroom, three bathroom villa with private swimming pool in one of the northern Costa Blanca’s most sought-after locations. Prices in neighbouring Portugal are also still below their previous peak, with the market having bottomed out in 2014. Buying through Ideal Homes Portugal, a four bedroom, six bathroom villa in Varandas do Lago, complete with private swimming pool, outside terrace and BBQ area within a 1,030 sqm plot, is available for €1,425,000. Meanwhile in Cyprus, available through Ideal Homes International, the captivating resort of Minthis Hills near the city of Paphos includes a fabulous three bedroom, three bathroom villa for €1,350,000. Architects Woods Bagot have opted for convenience, comfort and luxury in the design of these stunning homes, which boast panoramic mountain and coastal views, an on-site clubhouse with restaurant, a spa and health club, housekeeping and a round-the-clock concierge. For buyers wishing to head further afield with their million pounds, Turkey offers an excellent choice of second home location. The stunning Oceanic Bay View villas from specialist local property company Universal21 are available for TRY4,825,274 (£1,064,865). The luxury residences offer smart house systems, whereby devices in the villa can be controlled via computer or smartphone. Rainwater harvesting, solar panels and a wind turbine ensure that these homes offer the latest in green credentials, while the same care has been given to social facilities on the development. A clubhouse with indoor and outdoor swimming pools, fitness club, spa centre, restaurant, sauna, Turkish bath and steam bath provide the ultimate in rest and relaxation amenities. Whether it’s a plush apartment in Surrey, an ultra high tech villa in Turkey or an opulent country home in Portugal, it’s clear that £1,000,000 opens up a vast array of property options to the modern buyer. According to the newly released 2015 edition of the Global Financial Centres Index (GFCI), London has now become the world’s leading financial centre. Stealing New York’s crown, this important report ranks the world’s 84 leading financial cities based on a survey of industry professionals and data from both the World Economic Forum and the UN. Although New York holds on to second place comfortably, it is Asian cities that take the next four spots: Hong Kong, Singapore, Tokyo and Seoul, raising the question: Is the dominance of Wall Street starting to move eastward? 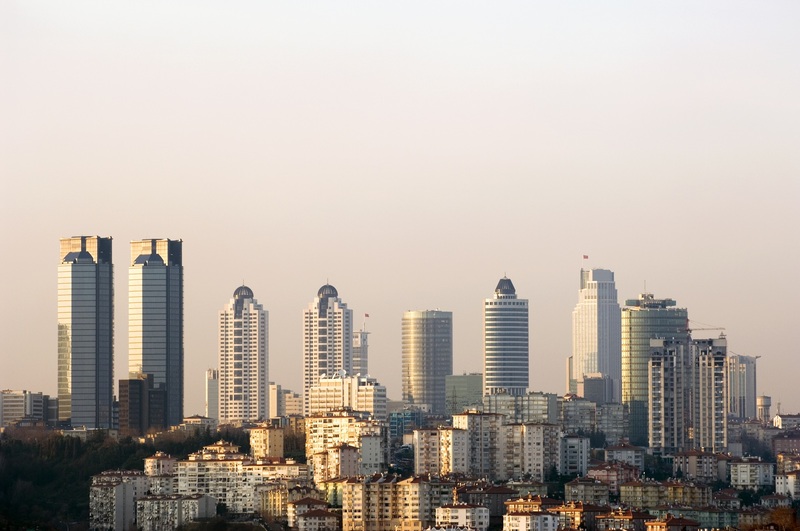 With this in mind, it is no surprise that the master plan for Istanbul’s International Financial Centre (IFC) has been developed, with the Turkish government’s goal to establish the city as a global centre for finance taking firm shape. The project is progressing in correlation with the main aim that Turkey will become one of the 10 largest economies in the world by 2023, the country’s 100th anniversary. The vision of the Istanbul International Financial Centre project is defined in the notion that “Istanbul will become a regional, and then a global financial centre”. With proven success as a property investment hotspot, making its mark on the international housing market, Istanbul’s global presence will go from strength to strength now the construction of its International Financial Centre has begun. “We have always believed in Istanbul’s potential as a global hotspot, from tourism to property and now, in the wake of this new master plan, the world of finance. As we experience ever increasing buyer enquiries it is apparent that international interest in Istanbul is mounting, and this will only build further with the introduction of the new International Financial Centre. Already a prominent metropolitan city, Istanbul’s geographical location will bring together investors as well as financial companies within the triangle of Central and Eastern Europe, the Middle East, and Central Asia. A prime location for both the financial and real estate markets, a key criteria in order to develop an International Financial Center, the future looks bright for Turkey’s most populous city. Located just an hour away from the upcoming financial district, the more relaxed area of Beylikduzu could offer a serene atmosphere to come home to whilst still being in close proximity to the new District. One project currently benefitting from growing interest is Universal 21’s Diamond Residence, just 20 minutes from the main Ataturk international airport and only a short drive from the beach. Diamond Residence is comprised of 148 beautifully designed apartments, of both one and two bedrooms, and it also offers an array of excellent and functional facilities. These include 24 hour security, a Vitamin Bar, fitness centre, indoor swimming pool, children’s games room and cinema room. This year’s Cityscape Global, the world’s largest exhibition to promote property development to the Gulf market, was held in Dubai to great success. 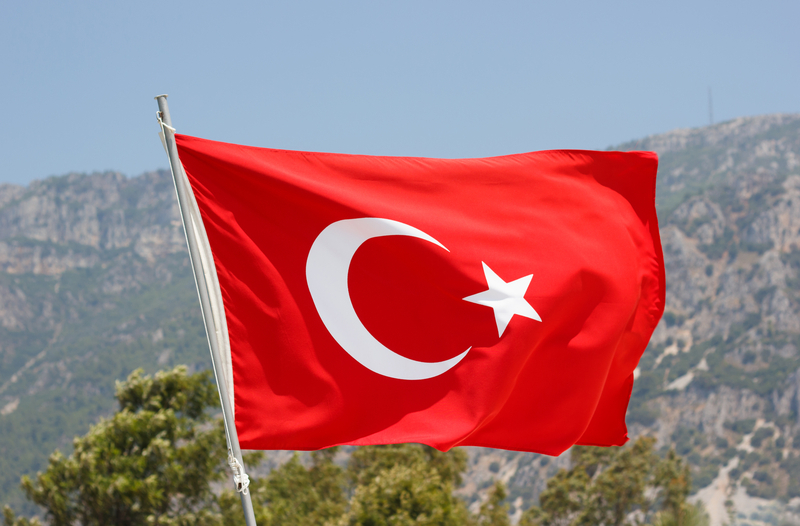 Placing international property investment at the fore, one nation making firm use of the opportunity to increase its standing within the region was Turkey, with over 50 exhibitors, double that of last year’s figure. 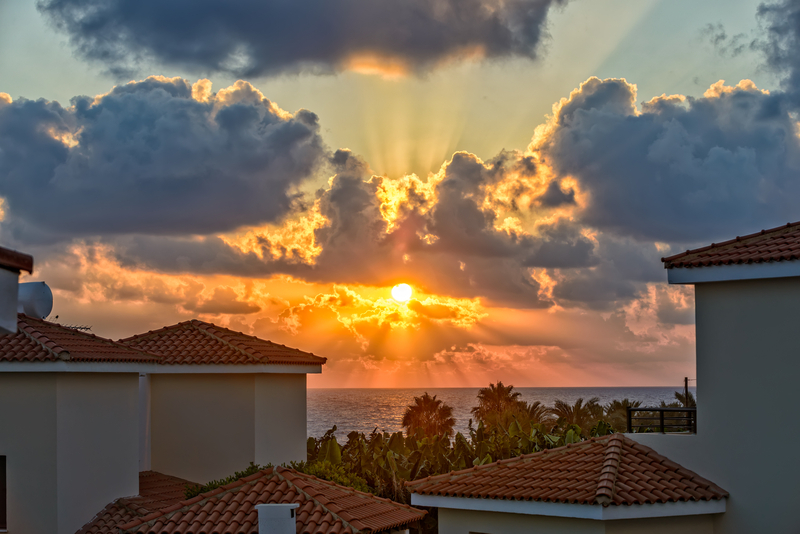 The Turkish market has witnessed a rapid expansion in recent times, with the most recent statistics released by the Turkish Statistical Institute (Turkstat) revealing a 6.5% increase in house sales in August 2015, compared to the same period in 2014. In August overseas buyers made up a growing number purchasing property in Turkey, with foreign buyers increasing by 15.2% year-on-year. And as indicated by the Turkish presence at the recent Cityscape Global, the top nations today buying from outside of Turkey are from Gulf States. “The annual Cityscape Global exhibition, held this year at the Dubai World Trade Centre, provides an important focal point for UAE and Gulf investors to investigate emerging opportunities within the international property market. This month’s exhibition highlighted the interest in the Turkish market from such investors and this is also something we have noticed. This trend being noticed by Universal21 is certainly being reflected in official statistics too. Turkstat has revealed that in August, Iraqis were the most prevalent nationality buying in Turkey, accounting for 19.6% of foreign property sales, followed by Saudi Arabian buyers with 13.3% and purchasers from Kuwait taking 11.1% of foreign home sales in the country. And the trend is looking set to continue with rising numbers of Arab visitors arriving in Turkey’s major tourist destination of Istanbul in 2015. Recent data released by the Istanbul Culture and Tourism Directorate has revealed that the number of Arab tourists has near-on doubled since 2010, taking the tourist share to nearly 20% today and rising. In relation to this, private residential buyers from the Middle East are also increasing their hold in the property market, with the growing tourist interest being reflected in the expanding second-home market. One project that is witnessing particular attention from the Gulf market, on both the holiday home and investment side, is Diamond Residence from Universal21. Located in a quiet, relaxed area of Old Beylikdüzü, the upmarket district of Istanbul, Diamond Residence is well situated to be close to Ataturk airport, the beach and a wide range of shops and restaurants. Comprised of 148 beautifully designed apartments, with both one and two bedroom apartments available, Diamond Residence also boasts an array of excellent facilities. These include 24 hour security, a Vitamin Bar, fitness centre, indoor swimming pool, children’s games room and cinema room. One bed apartments are priced from £57,000 / €78,000 and two bed apartments from £98,000 / €132,000. Predictions of a hot August for the UK, made in such a carefree manner in July, didn’t quite come to fruition. Instead, the month ended with bookmaker Ladbrokes simply stopping taking bets on August being the wettest on record. Enough said. With the UK having endured another soggy summer, many individuals are turning their thoughts to sunshine overseas and checking out short-haul flight prices to see how quickly and cheaply they can transport themselves to the nearest suntrap. Cala Anguila II in Porto Cristo, Mallorca, features two bedroom apartments costing from €230,000. 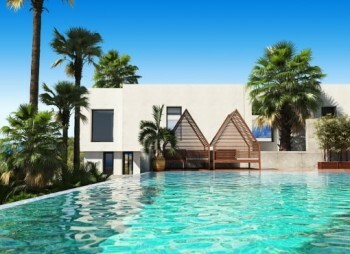 Located next to the idyllic coves of Cala Anguila, Cala Romántica and Cala Mandía, the development includes ample gardens, a large swimming pool and a private sunbathing area. Spain’s nextdoor neighbour Portugal is also a great place to take in some winter sun. In the southern Algarve region, there are still plentiful bargains to be had when it comes to second homes. 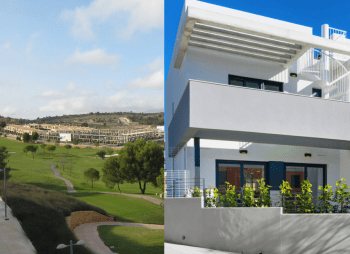 A contemporary two bedroom townhouse close to the new Amendoeira Golf Course (Faldo/O’Connor) is available through boutique real estate agency Ideal Homes Portugal for just €185,000, while a magnificent eight bedroom villa on the outskirts of Albufeira is available for €540,000 (reduced from €950,000). Fractions in Casa Tre Archi are available from £75,000 for five weeks’ exclusive usage per year. The model has proven popular for the family-run Appassionata team, who have just begun renovation work on their fourth property in the area. A short boat ride across the Adriatic Sea is Lalzit Bay Resort and Spa in Albania. Another convenient choice for a short-haul winter sun destination, Albania enjoys mild winters, with temperatures averaging a low point of 7°C in January. Lalzit Bay is one of the most attractive stretches of coast along the Adriatic and the resort is privileged to enjoy its own private beach. Properties available include high-end apartments and villas, with a full management service available to all owners. Those with an extra hour or two to spend in the air can enjoy the sunshine of Turkey this winter. The meeting point between East and West, Istanbul is a fascinating city that captivates all those who visit. The Oceanic Bay View villas there, available through Universal21 from $1,595,000, offer eco-friendly detached homes with swimming pools, exquisite design and the latest in smart home technology. Whether it’s the beaches of Spain that you crave or the fast-paced city life of Istanbul, it’s time to accept that the UK summer is over and start sorting out some winter sun overseas. Ideal Homes Portugal: 0800 133 7644, +351 289 513 434 or www.idealhomesportugal.com. Appassionata: +39 33154 13225 or www.appassionata.com. As the sixth most visited country in the world, Turkey’s tourism market is expanding, with shopping tourism becoming increasingly popular. 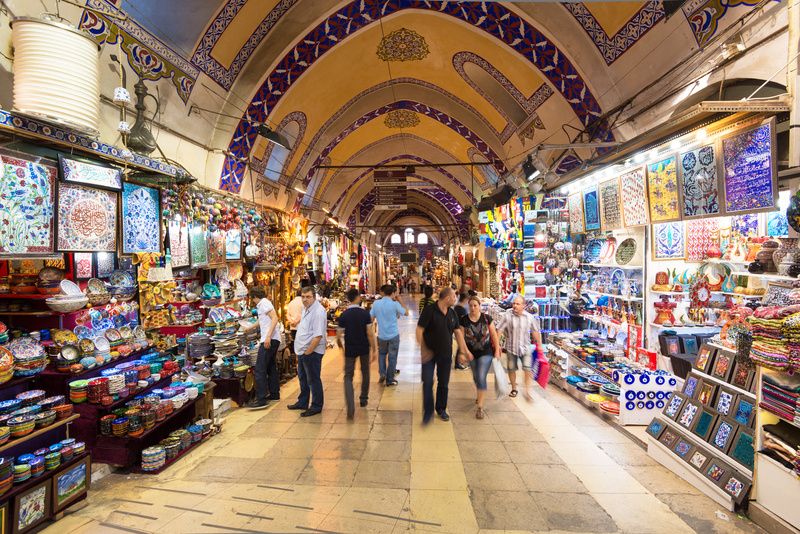 The World Tourism Organization (UNWTO) has reported a rise in retail developments appealing to tourists, with Istanbul’s celebrated Grand Bazaar attracting between 250,000 and 400,000 visitors daily. However, recent figures suggest that it is not only market trinkets and souvenirs that overseas visitors are returning home with; in many cases it is also their very own piece of Turkish real estate. The latest report published by the Turkish Statistical Institute (TurkStat) shows that house sales to international buyers increased by 22% during the first half of 2015 alone. This frenzied shopping spree through Turkey’s property market highlights the current enthusiasm felt by those both buying and selling. Throughout July this year, overseas buyers bought 2,027 properties, a growth of 37.6% in comparison to the same month in 2014 with Turkey’s most populous city, Istanbul, remaining the main focus for potential buyers. TurkStat data confirms that Istanbul is maintaining its spot at the top of the marketplace with almost 16.3% of Turkey’s total house sales in July. “Over the past decade, Istanbul has emerged as a global hotspot for both tourism and property investment. As the most recent statistics suggest, this trend looks set to continue as Istanbul’s housing market remains a firm favourite with international buyers. One Istanbul development prompting overseas interest is Universal21’s Diamond Residence. Located in a quiet, relaxed area of the middle-class district of Old Beylikdüzü, Diamond Residence is just a 20-minute drive from the main Ataturk airport, a 10-minute walk from the major shopping centre of Marmara Park, and in close proximity to the beach and all amenities and restaurants. Comprised of 148 beautifully-designed apartments of one, two and three bedrooms, there is a full range of excellent facilities available to ensure a luxurious and relaxed stay, including a fitness centre, vitamin bar, indoor swimming pool, children’s games room, cinema room and 24-hour security. One bed apartments are priced from £57,000 / €78,000, with two bed apartments from £98,000 / €132,000. 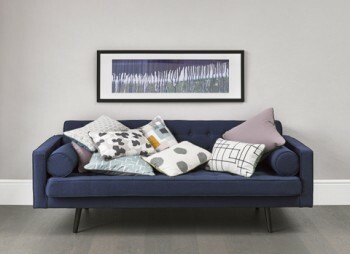 Find out about the rent guarantees offered to make this a perfect armchair investment! Known to be popular with Arab buyers, both those looking to capitalise on the city’s investment potential and those looking to purchase their own holiday home, Istanbul is today welcoming a new nation to its expanding property market. Figures released by leading Istanbul agent Universal21 reveal a huge 250% increase in enquiries from Chinese buyers this year. 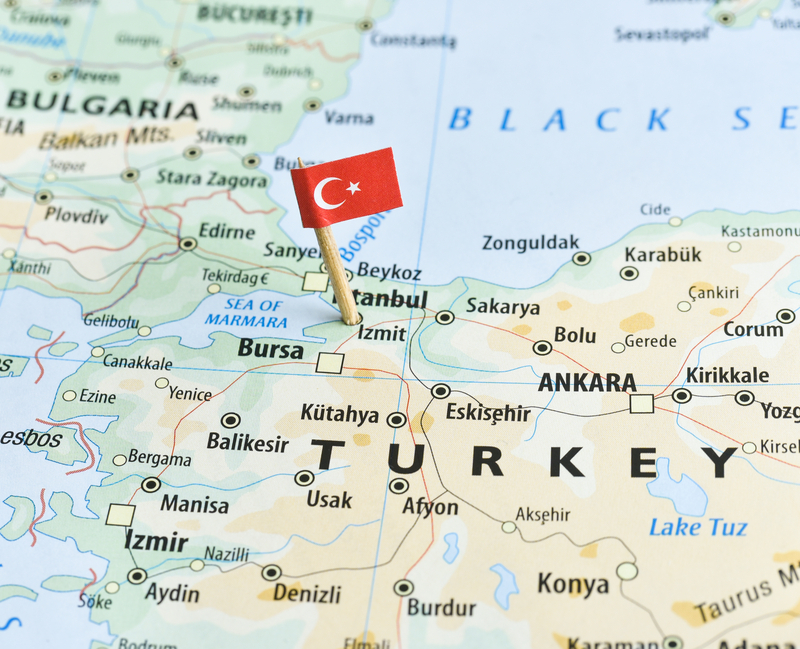 Paving the way for a shakeup in the market that is currently dominated by Middle Eastern buyers, this could mark a turning point of Turkey’s largest city. With much to appeal to Chinese visitors, from stunning architecture and a rich history to varied gastronomy and a growing luxury retail sector, this looks set to continue at record-breaking levels in Istanbul. Gazi Murat Şen agrees, predicting that numbers of Chinese tourists arriving in Turkey will top the 300,000 figure this year, with the number one tourist destination on track to take a fair slice. “We have always found that it is buyers from Arab nations that dominate in terms of enquiries into our range of Istanbul projects, but this is now slowly beginning to evolve. 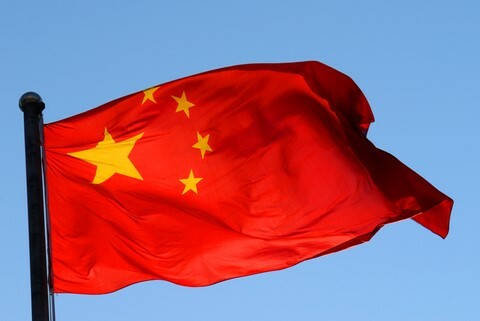 Whilst it is easy to assume that Middle Eastern interest will remain at the fore, it is very interesting to see the impact that buyers from China are now having on our enquiry levels. One project seeing interest from potential Chinese buyers is Universal21’s Diamond Residence. Located in a quiet, relaxed area of Old Beylikdüzü, whilst still being in close proximity to all amenities and restaurants, the project is just 20 minutes from the main Ataturk international airport. Not only this but also being only a short drive from the beach and a 10 minute walk from the area’s major shopping centre, Marmara Park, make this an ideal location for investors and leisure-buyers alike. Turkey takes a bite out of the Big Apple’s tourism sector! Istanbul, Turkey’s largest city and cultural melting pot of East-meets-West, has been revealed as on track to overtake New York City with record tourist numbers this year for the very first time. This eye-opening news came with the release of Mastercard’s Global Destination Cities Index, an annual travel study that rates worldwide cites for their international overnight visitor arrivals as well as cross-border spending. A huge revelation given NYC’s seemingly steadfast standing that has had it on the tips of people’s tongues around the world for many years as a must-visit location, Istanbul is instead today drawing increasing attention. Predicted to see an impressive 12.56 million international visitors tread its streets in 2015 (ahead of New York’s 12.27 million) Istanbul now ranks 5th in the world in the new Index and its move up from 7th place over the last year signifies a growth of 11.4%, higher than any of the other 132 destination cities considered. Further confirmation that the city has solidified its place on the global stage as an internationally-renowned tourist destination, this is excellent news for the growing regional property market. The latest figures released by Turkey’s statistical institute, Turkstat, show a 19.1% increase in house sales in Turkey in June 2015, compared to the same period the previous year, with Istanbul taking the lion’s share (some 19.5%). As Yaman indicates, in line with the growing tourism sector, Istanbul registered a show-stopping growth of 19.7% in the number of house sales to foreigners in June this year compared to 2014 figures, as increasing numbers either purchase their own holiday homes or recognise the potential of the buy-to-let market. Not only proud to overtake New York, Istanbul is also outpacing Singapore (7th in the ranking) in the Global Destination Cities Index. This is especially interesting given that the Index highlights that visitors to Istanbul are the most diverse, with the largest mix of nationalities (an indication of resilience) yet Singapore’s lack in this regard. It is also on track to register visitor spending of $9.37 billion this year, an increase of an impressive 7.3% on 2014 figures, and a figure that places it 10th in the world. One project that is witnessing increased attention in this regard, especially from overseas buyers, is Diamond Residence from Universal21. This impressive project, formed of 148 beautifully-designed residences, is situated in a quiet, relaxed area of Istanbul’s upmarket Old Beylikdüzü, whilst still being in close proximity to all amenities and restaurants. Just a 20 minute drive from the main Ataturk airport, the property is also a short drive from the beach and a 10 minute walk from the area’s major shopping centre, Marmara Park. One and two bedroom apartments are available, alongside an array of excellent facilities that include: 24 hour security, a Vitamin Bar, fitness centre, indoor swimming pool, children’s games room, Turkish bath, 5-a-side football pitch, gym, sauna and massage room and cinema room. One bed apartments are priced from £57,000 / €78,000 and two bed from £98,000 / €132,000. Turkey’s property industry remains one to watch with consistent annual price growth and increasing buyer interest. The latest figures released by Knight Frank, in their annual Global House Price Index report, rank Turkey’s annual growth as the highest in Europe at 18.6%, and second globally, just missing out to Hong Kong by the smallest of margins. 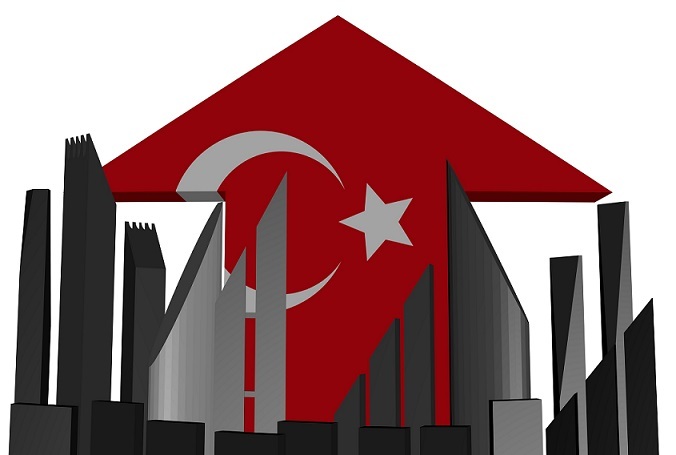 Inextricably linked to Turkey’s flourishing housing market is its construction industry. The most recent research conducted by the Turkish Statistical Institute (TUIK) in relation to confidence in Turkey’s construction services shows an increase of 1.6% when compared to last year. A growing number of managers within the construction industry advised that workload was above the seasonal average and they were expecting a rise in “total employment” over the next three months. Universal21, the leading property agency in Istanbul, works closely with every aspect of Turkey’s property industry and confirms the sense of confidence currently surrounding the market. “Over the last decade Turkey’s housing market has thrived, attracting a vast amount of interest and subsequent investment from both domestic and international buyers. The most recent figures suggest that the property industry is still recording annual growth, albeit at a slower pace, with house price growth remaining consistent. Indeed the positive effects of Turkey’s robust housing market are certainly having an influence on the country’s economy, expanding by 2.3% in Q1 this year in comparison with Q1 2014. This substantial increase has exceeded all market expectations and demonstrates that the annual growth estimate of 3.1% in 2015 is completely achievable. Universal21 understand the importance of Turkey’s property industry to the wider economy and strive to develop some of Istanbul’s most sought after real estate. Their most recent offering is Diamond Residence. Located in a quiet, relaxed area of Old Beylikdüzü, Istanbul, whilst still being in close proximity to all amenities and restaurants, the residence is comprised of 148 beautifully designed apartments. With both one and two bedroom apartments available, Diamond Residence is just a 20 minute drive from the main Ataturk international airport and a 10 minute walk from the area’s major shopping centre, Marmara Park. 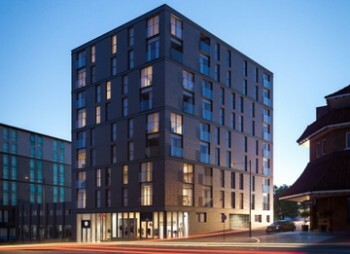 More than just a residential development, the property also offers an array of excellent and functional facilities, including 24 hour security, a Vitamin Bar, fitness centre, indoor swimming pool, children’s game room and cinema room. With one bed apartments starting from £57,000 and two bed apartments from just £98,000.